Topfloor received a mention on Focus/15 blog giving a glowing review of our latest rug collaboration with British designer and photographer Pam Weinstock. Those who have worked with the Topfloor team and know our products will also know that we are constantly seeking to innovate and push the boundaries of what is possible. Our LUMINOSO collection is a perfect example of the pioneering approach that we take to rug design. For the amazing LUMINOSO range Esti looked to the stars for inspiration, incorporating tiny lights into her compositions to create a glowing, other-worldly effect that is breathtaking. 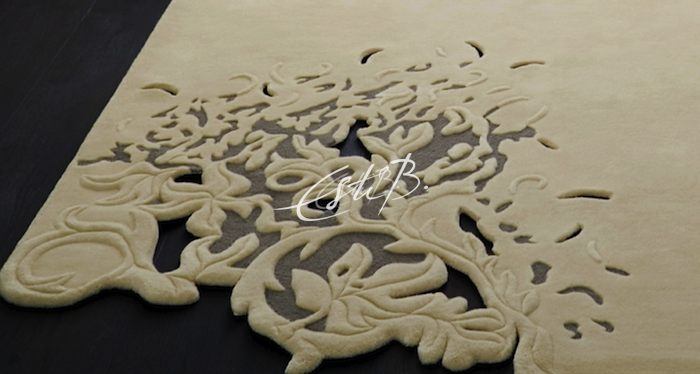 Topfloor has actually been making these specialist rugs for nearly a decade. 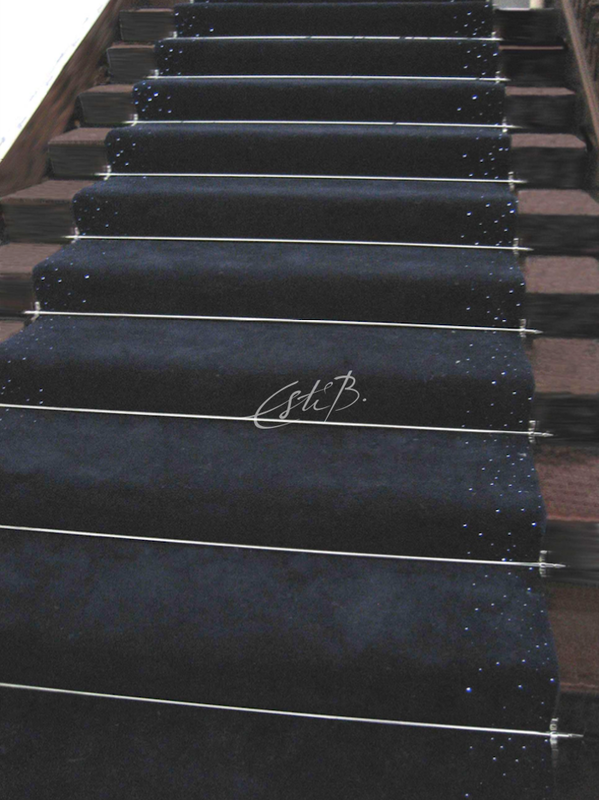 Our first installation was up the grand staircase of a Mayfair townhouse – a dark blue design bordered by subtle, twinkling lights that lead the way to the upper floors. Rugs like these work particularly well in very large rooms, where there is ample space to appreciate their ‘story’ and impressive scale in full. They make a fantastic statement in hospitality interiors (designs can also be wall-hung to provide an eye-catching centrepiece). 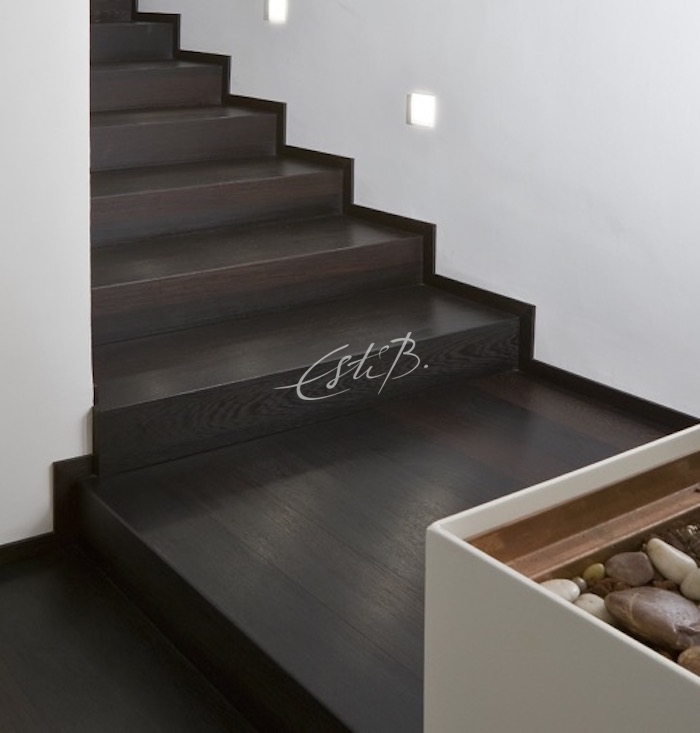 These luxurious, aesthetically beautiful designs can also have a practical application, having been used to provide low-level lighting on stairways and even along the central aisles of private jets. 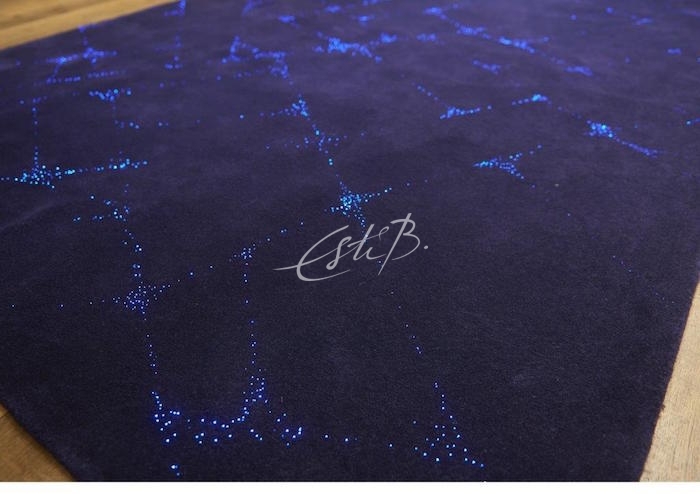 Naturally, they are at their most dazzling at nighttime or in darker environments, making them a fabulous choice for a cinema room, games room, wine cellar or perhaps the ultimate ‘man cave’! At FOCUS 15 this week at Design Centre, Chelsea Harbour, Topfloor is presenting its first ‘mixed mode’ version of the LUMINOSO rug, which allows you to switch between static coloured lights and a mixture of solid and dynamically changing light points. 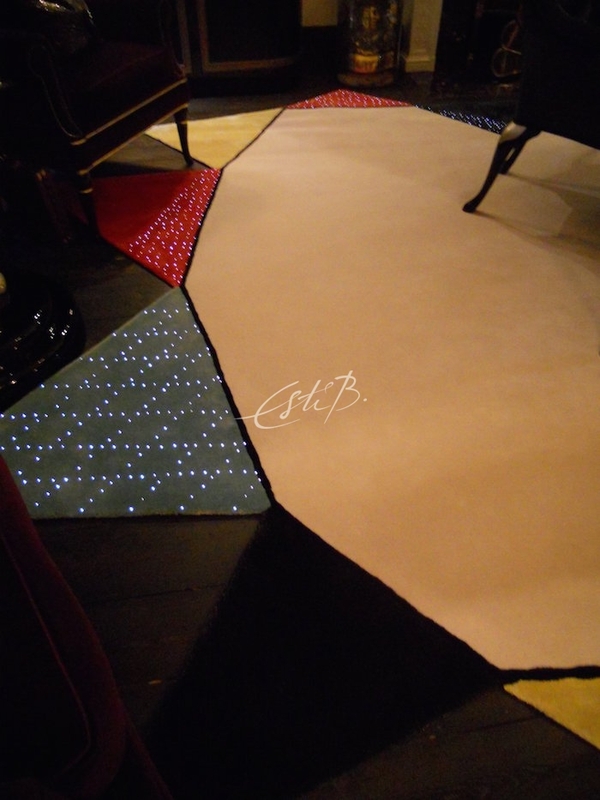 With this technology you can change the look of your floor to suit your mood and décor. The manufacturing process for LUMINOSO is complicated and time-consuming, demanding great precision. 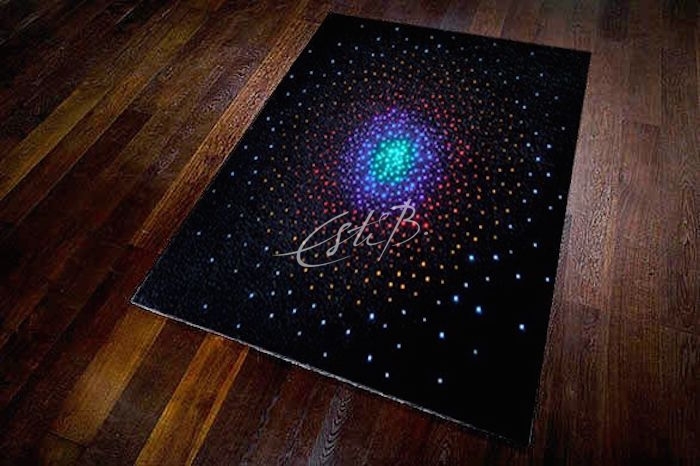 Our top-quality, hand-tufted rugs are interwoven with hundreds of low-voltage lights, which are powered by a matchbox-sized transformer that can be plugged into any mains circuit. 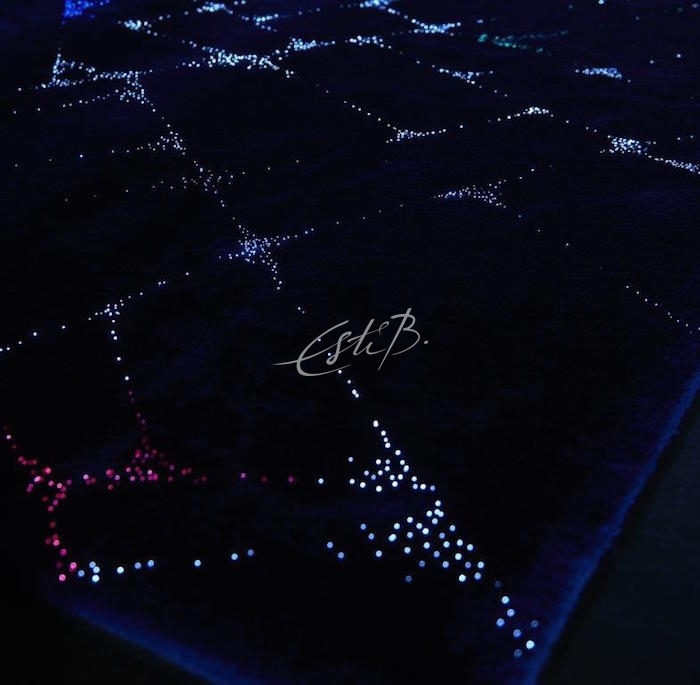 Because our LUMINOSO rugs are bespoke and made to order, clients can choose any design and select single-colour or multi-coloured lights, which can be static or follow an animated light pattern that creates the impression of movement – perfect for a ‘fireworks display’ or the representation of a far-away galaxy! 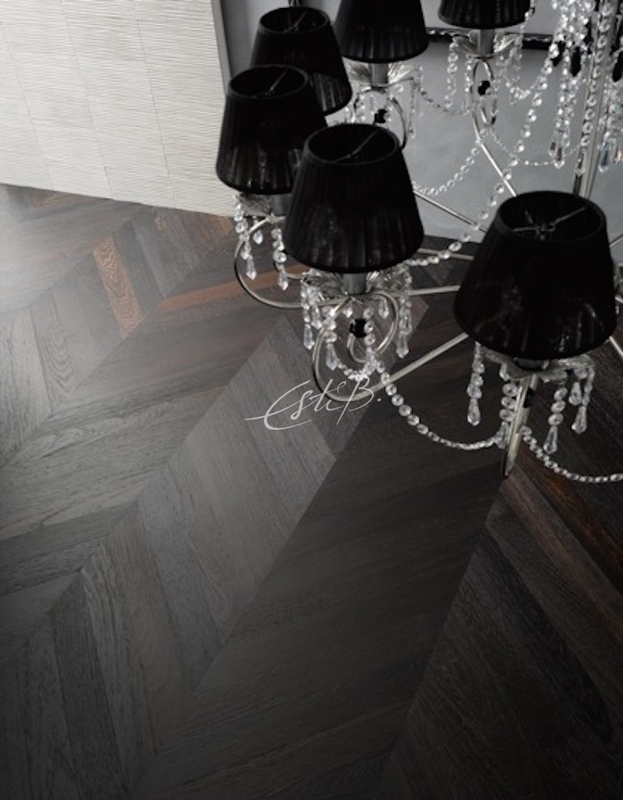 Please contact us for more information about the Luminoso range, or to discuss a commission with one of our flooring experts. 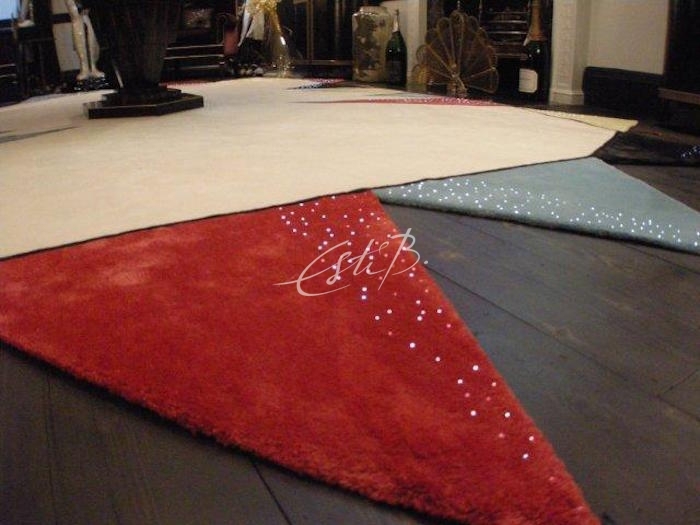 When choosing a rug it is essential to take into consideration the flooring it will be paired with. Will the two surfaces complement one another? Is the rug supposed to blend in with its surroundings, or is the intention to create an eye-catching contrast? 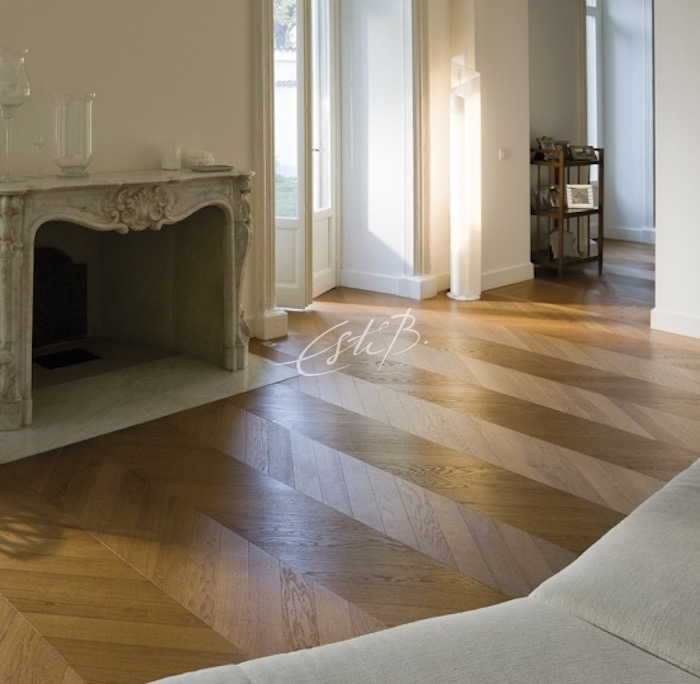 At Topfloor we are used to sharing our flooring expertise with clients and helping them answer questions like these, and so it made perfect sense for us to extend our bespoke offering to include a range of beautiful wood flooring. 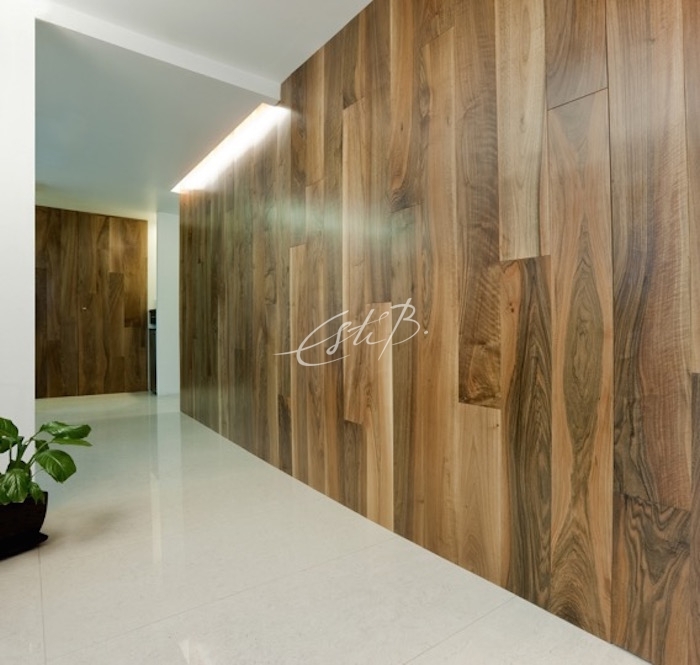 Our premium-grade engineered woods are of the highest quality and are certified by the FSC and PEFC, both of which promote responsible management of the world’s forests. 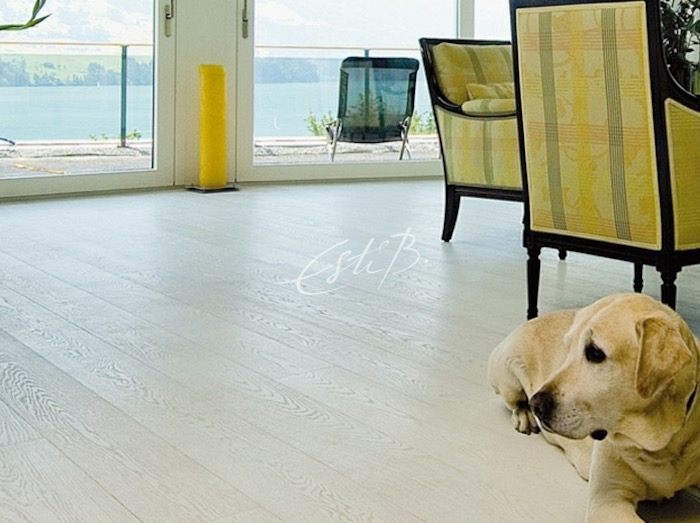 All our flooring is customisable, with a choice of size, format and finish, and can be installed over underfloor heating. We also offer an installation service and can take on both commercial and residential projects. 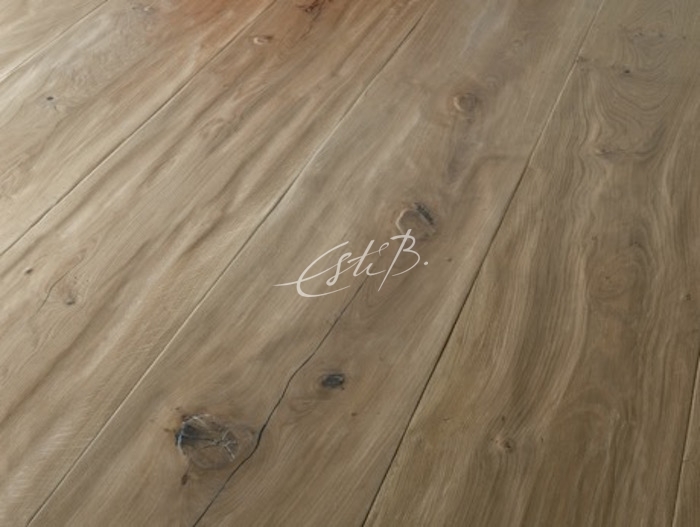 We have a wide range of styles to suit every home, from traditional rustic boards and classic parquet to contemporary Scandinavian-style pale waxed options and exotic woods such as wenge. In this blog post, we will take you on a short tour of some of the beautiful options we offer. 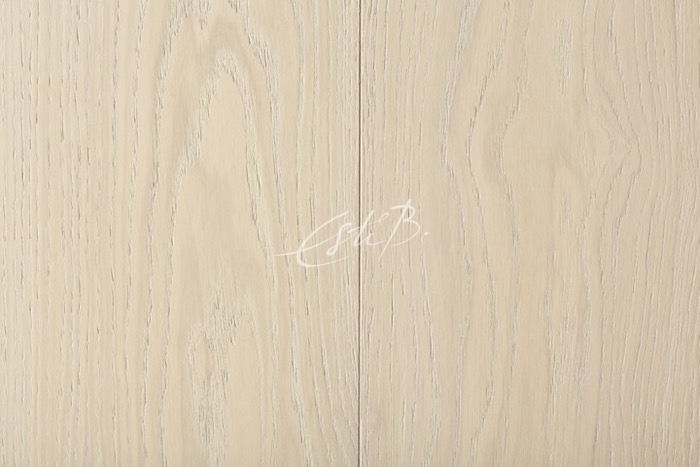 If you prefer to make a statement elsewhere in the room – perhaps with a feature wallpaper, some inspiring art or, of course, a show-stopping rug – pale woods are an elegant, understated choice that will not compete with other design elements in your room. 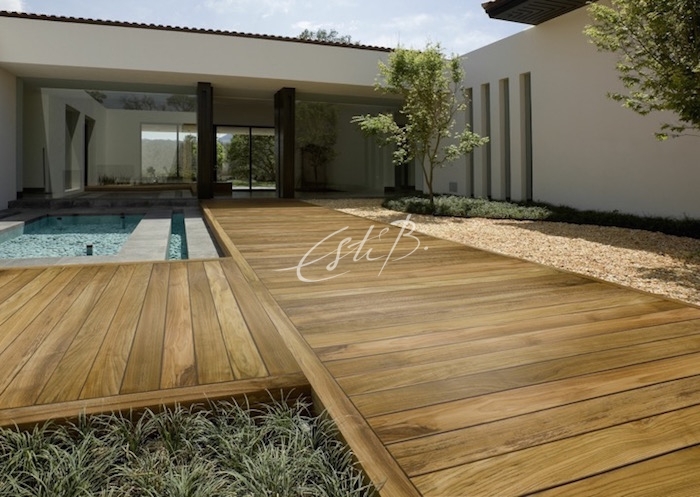 Our flooring range also extends to outdoor options that are perfect for decking on a terrace or around a swimming pool. They come unfinished, so you can apply the oil or stain of your choice. 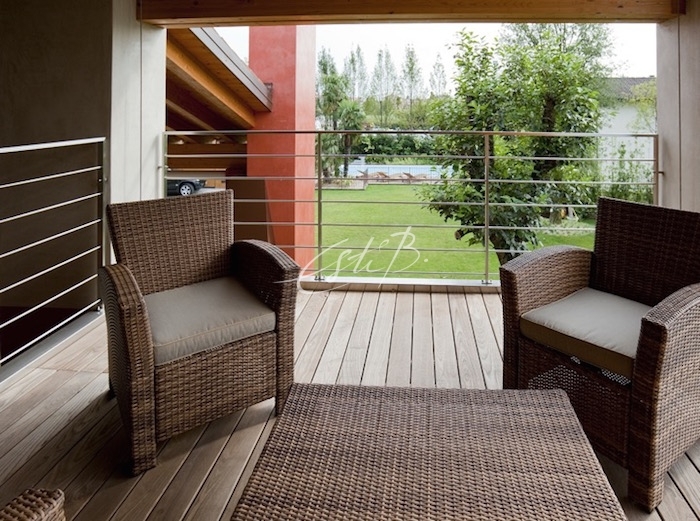 Teak is an excellent choice for decking – it has been used in the boat-building industry for hundreds of years because of its resistance to moisture and rot, so you can expect it to last a long time! Our ash decking has been heat treated to make it more stable and durable. A stylish choice for an all-weather outdoor area, its rich colour and attractive grain is brought out by the oiling or staining process. Flooring – the canvas onto which everything else is ‘painted’ – and rugs – among those finishing touches that bring a new room to life – are two elements that must work in harmony. We can help you make that happen, and that’s why we think you’ll agree that Topfloor’s wood flooring is a fabulous addition to our product range! 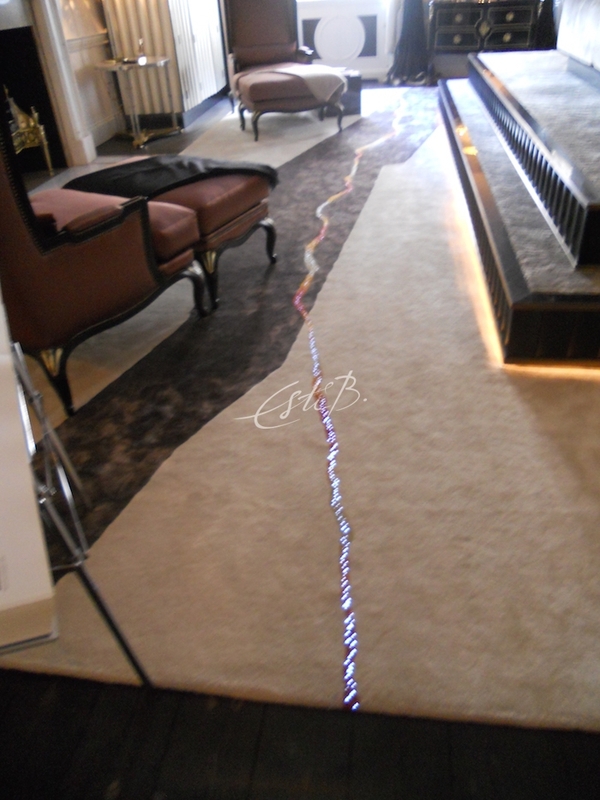 To see the flooring samples on display at our Design Centre Chelsea Harbour showroom, contact us here.